People often develop acne during puberty, when their hormones are fluxuating. Pimples should not be popped, as this can cause scarring of the skin. 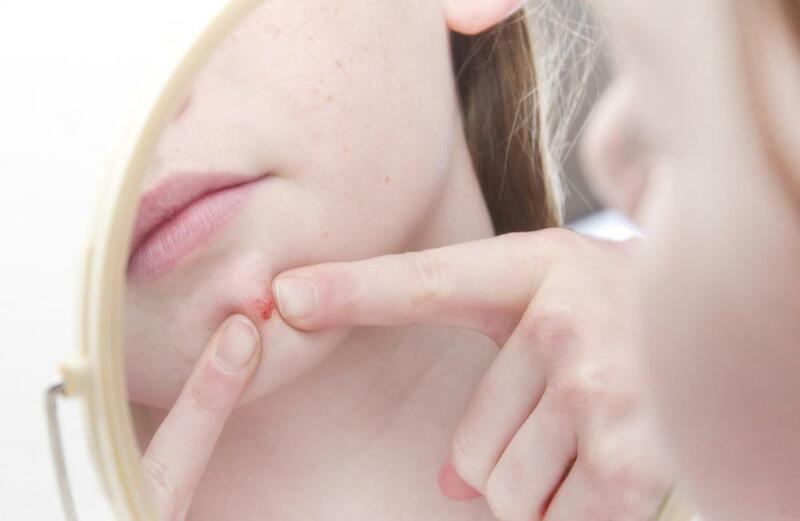 Pimples appear as inflamed bumps on the skin that are red and filled with white pus. A zit refers to pimples and blackheads, which are symptoms of acne. Zit is a slang term for a whitehead. A zit is a slang term that people use to when referring to pimples, whiteheads and blackheads. They are all symptoms of acne, or acne vulgaris. Acne occurs as a result of oil, called sebum, and excess dead skin building up in the skin's hair follicles. This results in skin lesions that are often called zits. This skin condition typically starts at the onset of puberty, due to the hormonal changes that occur during that time. Although acne frequently begins during the teen years, it can last for decades. For some people, this condition can last well beyond the age of 25. Zits can lead to long-term or even permanent cosmetic damage in the form of skin blemishes, scarring, or pitting. 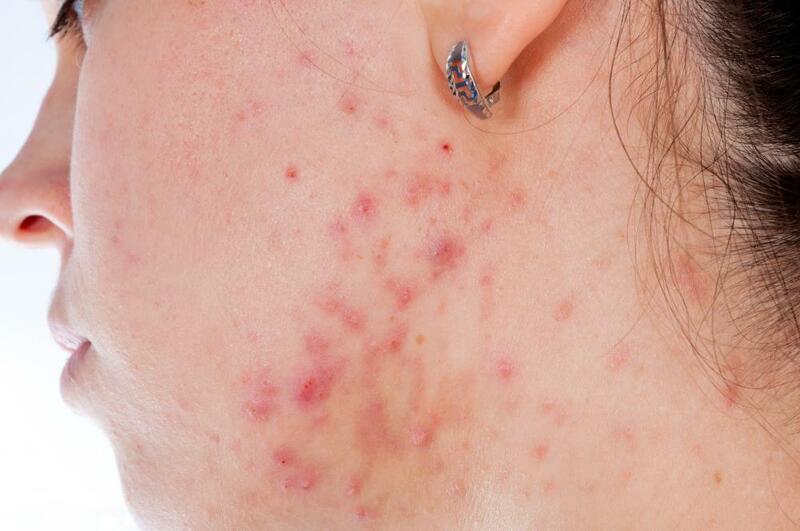 Often this occurs when a person has severe acne. There are different types of skin lesions that fall under the “zit” category. Lesions called whiteheads and blackheads are two common types of zits. These are formed when bacteria mix with the oil and skin debris in the clogged follicle, and cause it to bulge. When the bulging lesion remains closed and beneath the skin, it has a white top and is known as a whitehead. If the zit is open instead of closed and has a dark, almost black appearance, it is a blackhead. 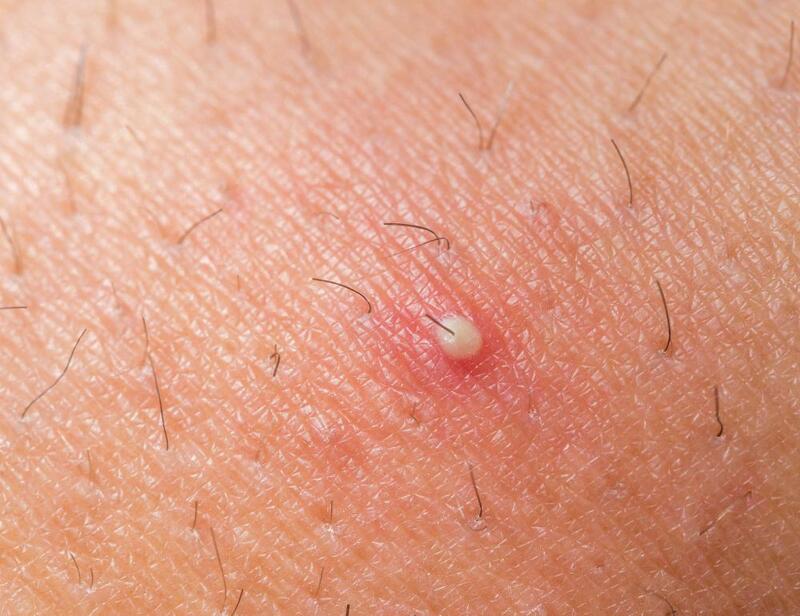 When clogged pores rupture or become inflamed beneath the skin the bacteria spreads and often results in lesions known as pustules or papules. Pustules are more commonly known as pimples. Pimples appear as inflamed bumps on the skin that are red with a white pus-filled top. 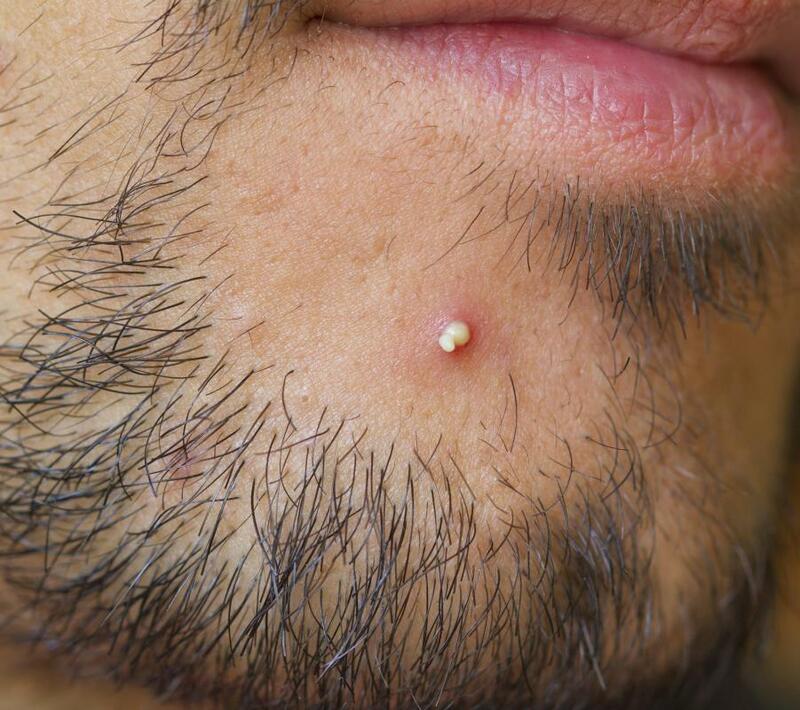 Breaking or popping this type of zit should be avoided to prevent scarring or infection. Papules are red or pinkish bumps that appear on the surface of the skin and are not pus filled. Hormonal changes, oil-based skincare and cosmetic products, excessive sweat, and even certain medications, are just some of the problems that can result in clogged pores and ultimately zits. Some people wrongfully believe that dirty skin or eating certain foods, such as chocolate, will cause zits to occur. In truth, cleaning the skin too much can be part of the problem and may potentially make acne worse. To help treat or reduce the chances of a zit outbreak, there are several things that can be done. Change cosmetics and other skincare products to oil-free alternatives or to products that are made for acne-prone skin. Unwashed hands have bacteria, oil and dirt on the surface and should be kept away from the face as much as possible. Zits on the body may also be reduced by removing sweaty clothing as quickly as possible. How do I Reduce Acne? What can I do About Cystic Acne? What are Home Remedies for Acne?